"Riverview helped to shape me as the person I am today, and also gave me the confidence to be the person I want to be. Going to camp alone at a young age was scary at first, but ever since my first year at camp, Riverview has been the highlight of my summers. Camp truly helped me grow as a person and gave me so many great role models that I continue to look up to. The encouragement that is given at camp has pushed me to become a better person. Another thing Riverview has done for me is given me lifelong friendships and bonds that I wouldn’t trade for anything." To have one of the most memorable summers of your life! To do some amazing things that you never dreamed you would or could do! To make mistakes when you try new things and not feel bad about it! To make friends that you will want to spend your summers with for years to come! To make friends that you will get together with in the fall and spring between summers at Riverview! To return to camp someday as a counselor! To Enjoy Extraordinary Experiences Everyday! To learn what it means to truly be you! To learn what it means to be the best you can be! To hit the target…better yet, to hit the bulls-eye! To sit in the field or swing quietly as you talk with friends! To run into Riverview friends when you go to college! To swing through the trees and feel the air brush your face! To enjoy all of God's creations! To say “Thank You” to whoever sends you to Camp Riverview! To feel close to God! To cry when you leave. Which Session Should I choose? Our Short-Term one week sessions are perfect opportunities to experience camp for the first time. While most of our campers attend for our Long-Term Two Week camps, the thrill of being at Riverview for the first time is quickly replaced with “I can’t wait to go back next summer”! Session M is our only stand alone Short-Term Session. We pack this session full of fun! Campers enjoy the opening and closing ceremony with this session choice. She can choose up to 6 activities each day OR she can enjoy the 3-HOUR RIDING PROGRAM as a part of her day…then she will choose 3 other activities in the afternoon to participate in. If she chooses the 6 activities…of course she can choose a 1-hour Riding Class as one of those! 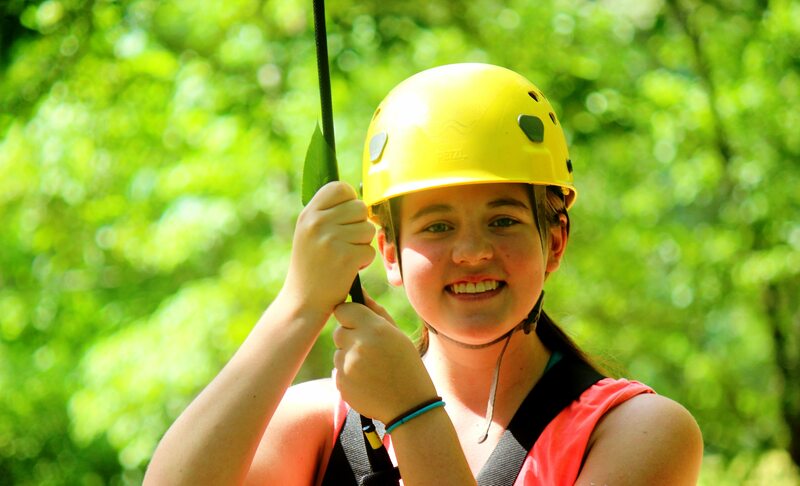 Customized Combination Sessions allow our campers extend their stay by combining sessions. We have campers who “stayover” every session and we have fun events planned for them as we transition from one group of campers to another! Our other Short-Term Sessions are a part of our Long-Term Sessions, either the first week or the second week, (we limit Short –Term campers to around 40 campers each week.) Short-Term campers feel the genuine “Welcome to Riverview” from all of our camp community! Our Long-Term two week camp sessions are offered all summer long! Most campers attend for two weeks! Two week camping will insure a more comfortable and relaxing camp experience just because she will “get more” of all of the fun Riverview has to offer. Getting to participate in both the opening and closing ceremonies of the Long-Term Sessions allows the opportunity to learn more in her activities and to build stronger friendships! What next ? Learn more about Daily Schedule of a Riverview Camper!